For deep rooted baseball fans, while many are celebrating joyous occasions with their families, the tragic death of Billy Martin on December 25, 1989 is an annual reminder of how one's mortality does not escape the holiday season. One of the fiercest competitors baseball has ever seen, his fiery temperament resonated with his teammates. 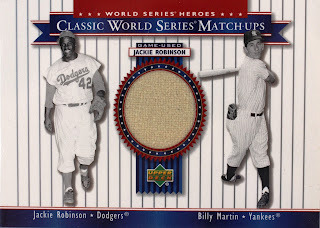 Speaking with his New York Yankees teammate Bob Cerv in 2008, he recalled how much Martin was motivated to outperform Jackie Robinson when their clubs met in the World Series. "The only thing I remember Billy Martin would say was, 'I'm gonna do better than him,'" Cerv recalled. "And he did in the World Series." 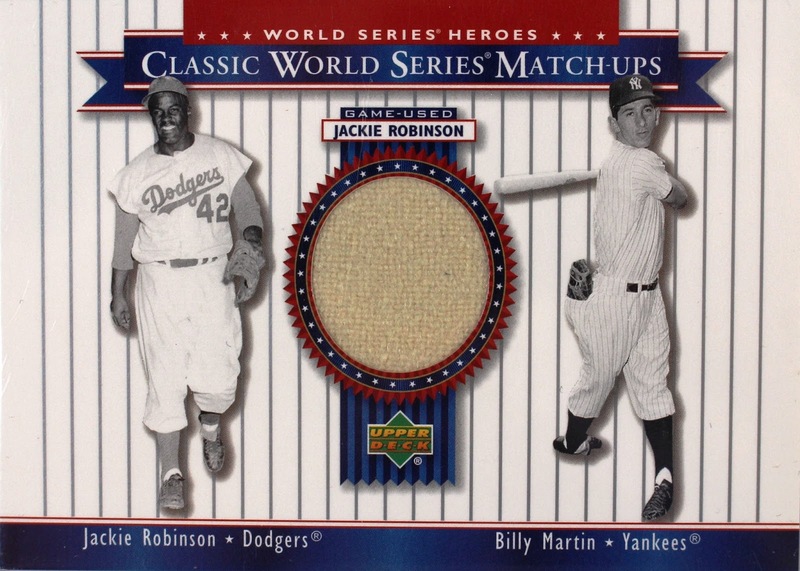 Below are Martin's and Robinson's totals from the four World Series in which they faced off. If there was an MVP award in 1953, Martin would have certainly won it. Is it mere coincidence that Martin's best World Series performance came when Robinson also had his, or was Martin hellbent on proving that he was the premier second baseman in the city?